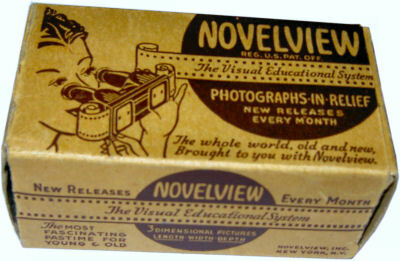 These Novelview viewers were made in the mid 1930's by the Novelart Company, Long Island, New York and are very similar to the early Tru-Vue viewers. They are much harder to find than their Tru-Vue counterparts and that is reflected in higher prices. This is the earlier of the two viewers and uses a slide mechanism to advance the film. The film is slightly harder to advance when compared to the other Novelview and Tru-Vue viewers. 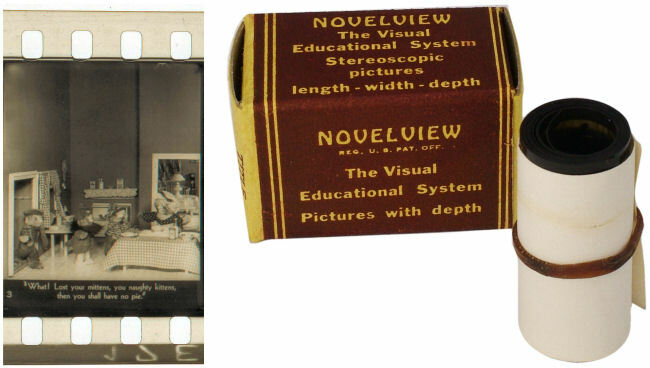 This model uses a brass knob to advance the film and is easier to use. The front plate is metal and is sprung into place on the bakelite body. The differences between the slide model and knob advance model can be clearly seen below. Considering the film and box are over 70 years old, their condition is superb. 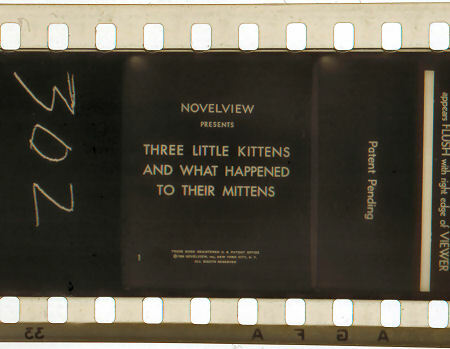 AGFA film was used to make the filmstrip.